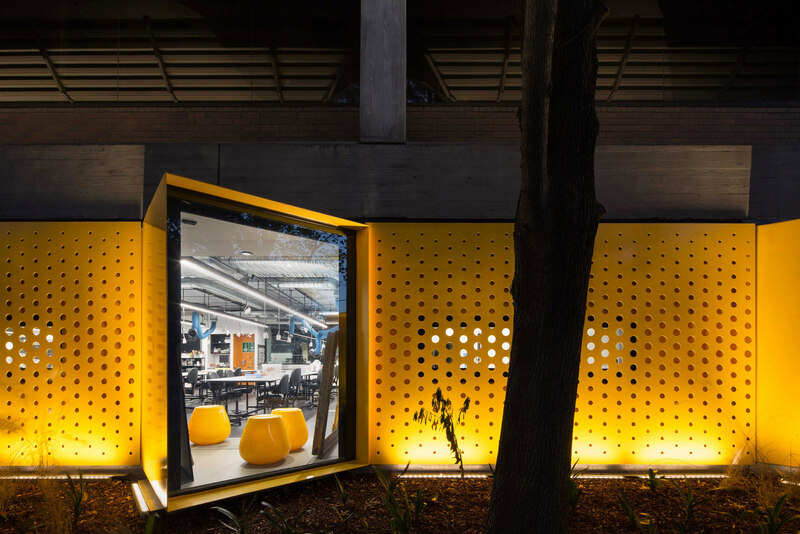 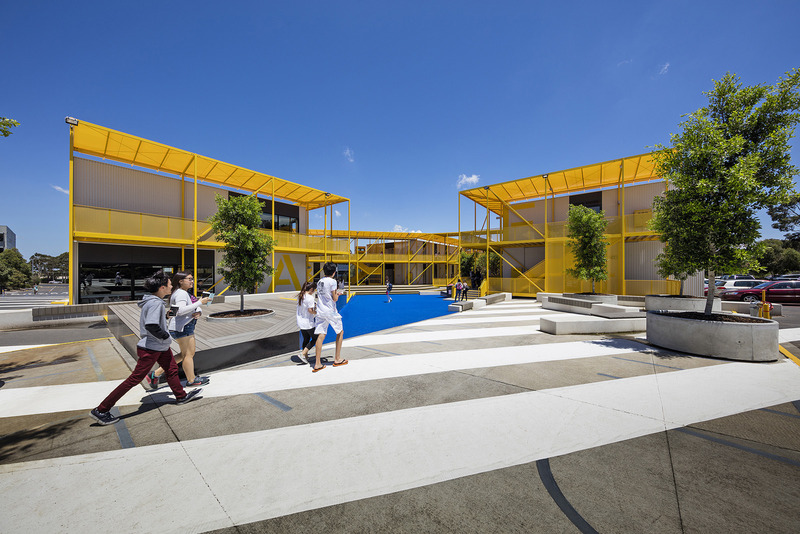 The Monash College Learning Village is a vibrant pop-up educational facility located at the Monash College Clayton campus, approximately 20km south-east of Melbourne. 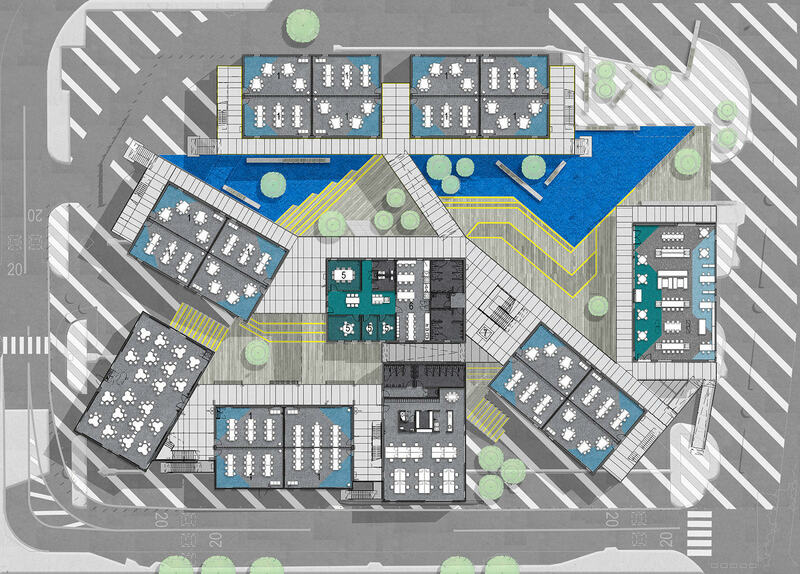 The village is a temporary decanting facility with a limited 3-5 year lifespan. 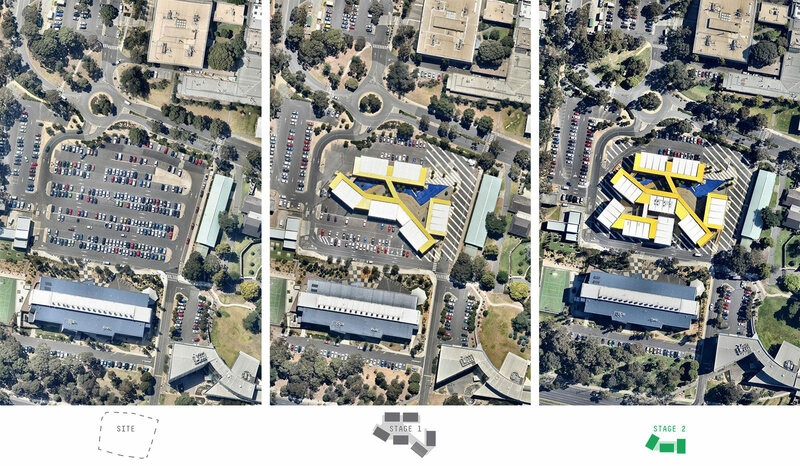 It will function to allow the refurbishment of other Monash College buildings during a period of high growth, and is expected to be dismantled after its useful life in order to return the site to its previous use as a carpark. 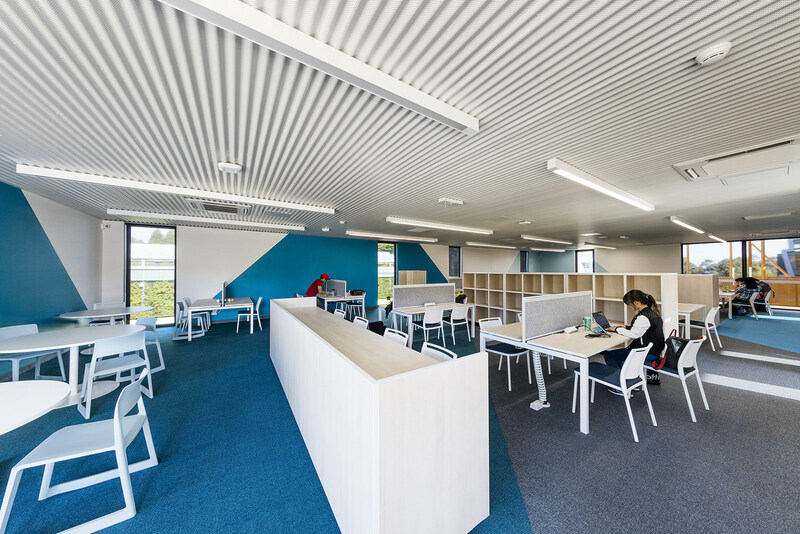 The facility comprises 2900m2 of teaching spaces, staff facilities and student communal areas in a dynamic and collaborative environment. 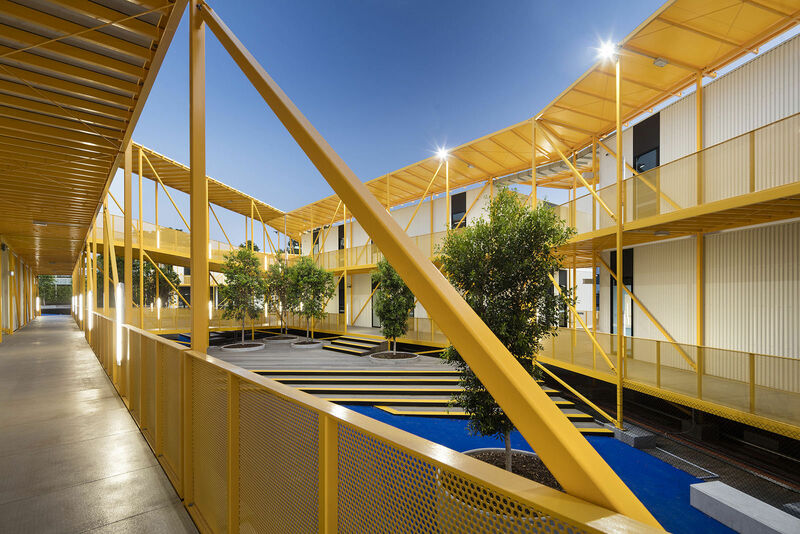 Divided into six buildings located over two levels, the buildings are linked via colourful external walkways interspersed with social spaces and landscaped outdoor courtyards. 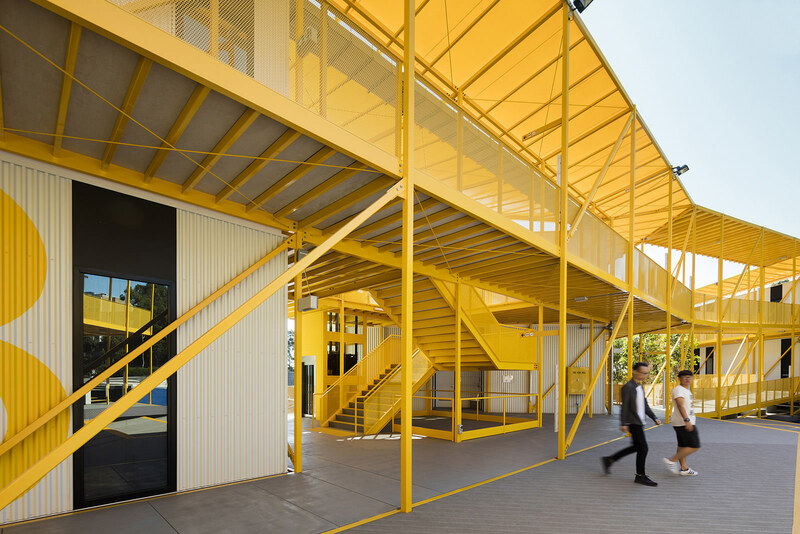 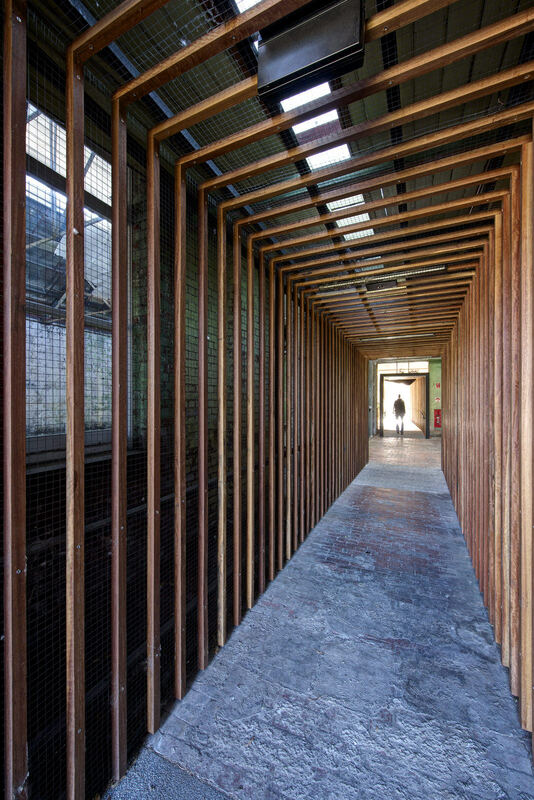 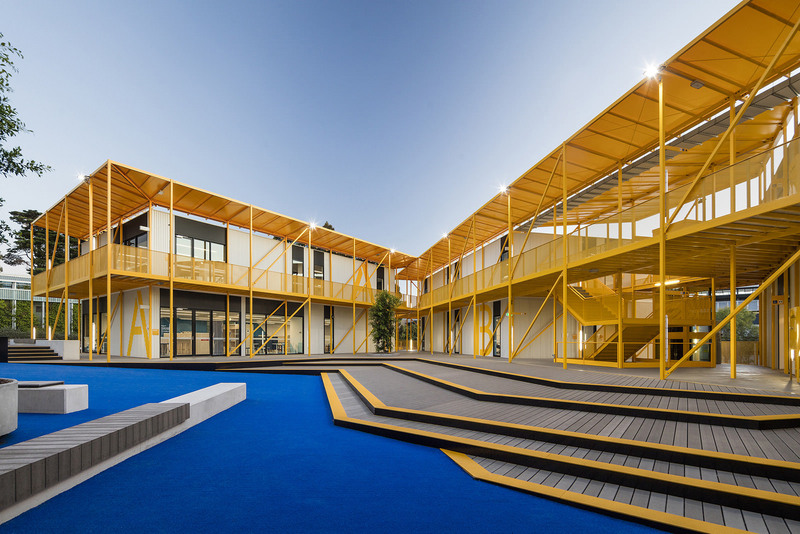 JCB conceived the facility as a celebration of the temporary nature of the project; Structures such as construction site gantries, circus tents and even the humble site shed became inspirational precedents to be refined and celebrated. 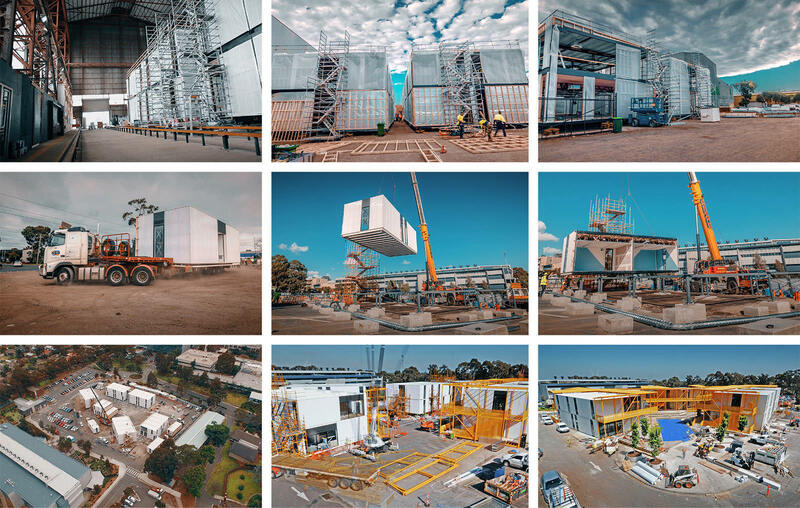 To satisfy a complex delivery timeframe, prefabricated modular design methods were employed to expedite the construction process, in order to meet a 9 month fast-track design and construction period. 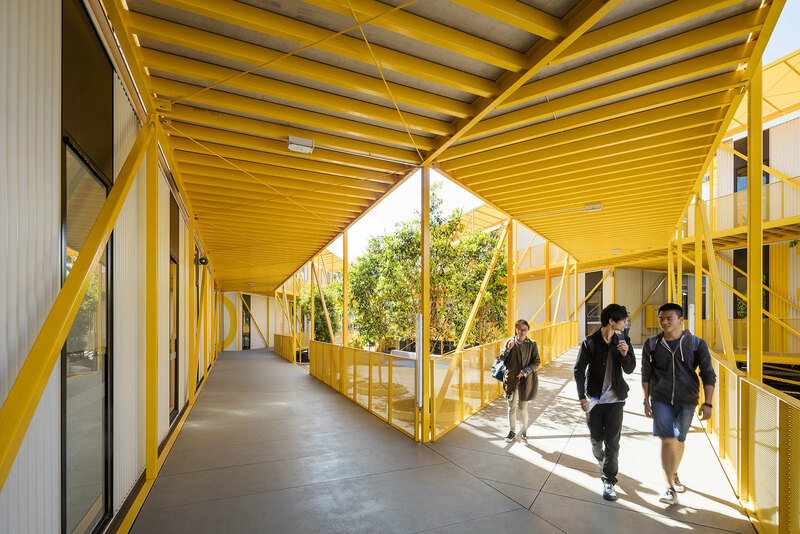 The elevated walkways were designed as a kit of parts to allow off-site fabrication and timely erection when delivered to site. 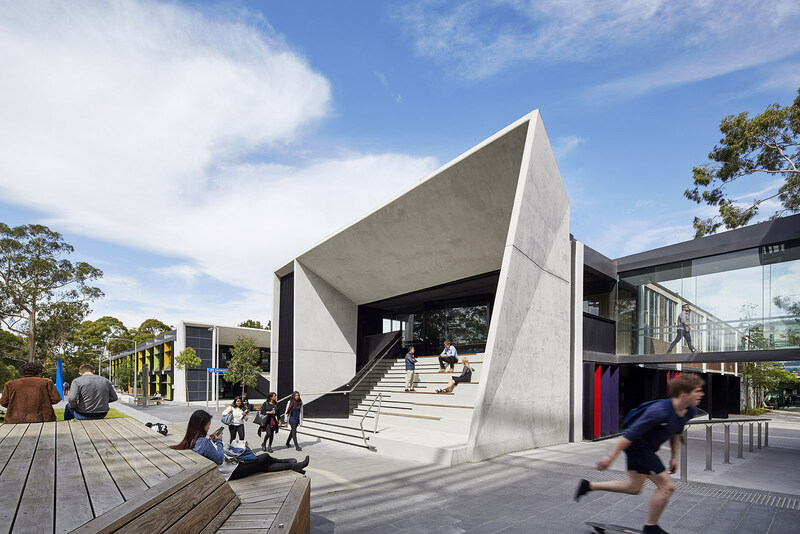 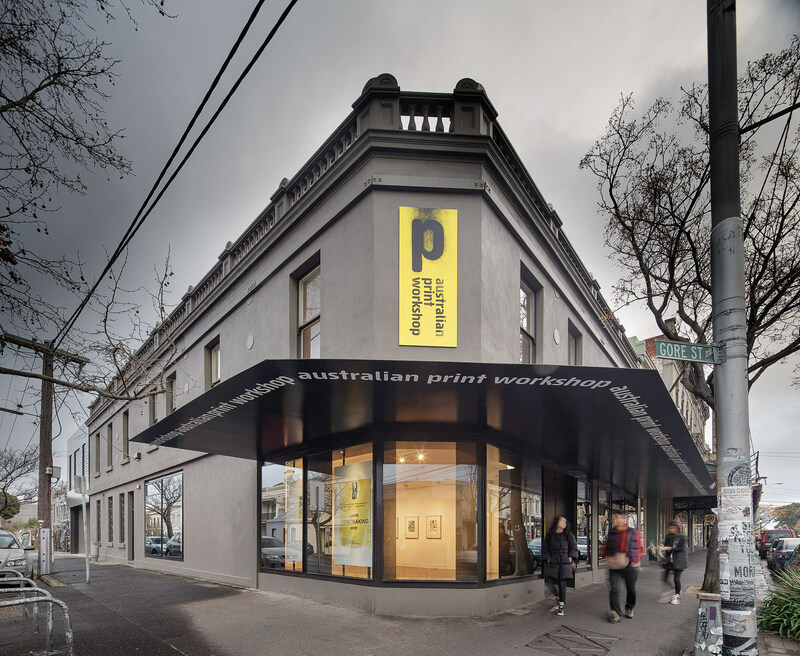 The composition of the buildings employ carefully considered amenity-orientated design principles acknowledging sustainability that is both social and environmental.